We hear our environment day to day- but how often are we really listening? 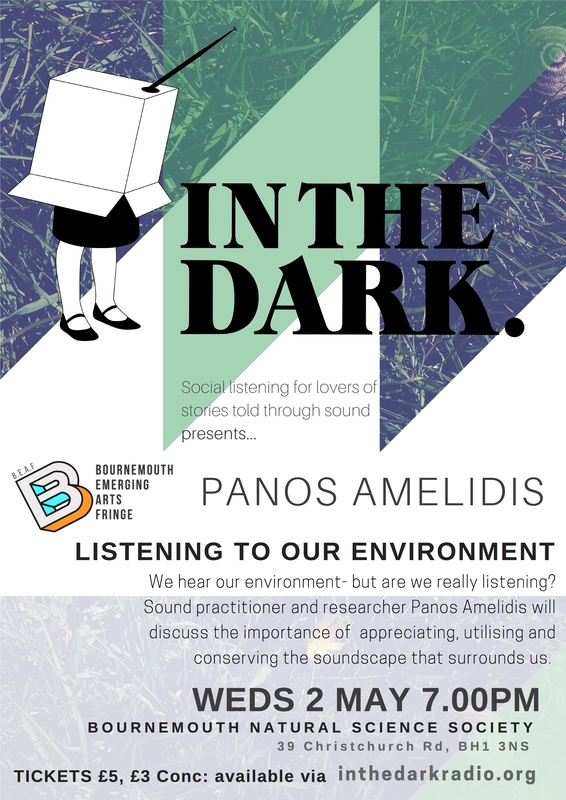 Sound practitioner and researcher Panos Amelidis will discuss the importance of listening to, appreciating, utilising and conserving the sound that surrounds us. From the historic taxidermy stuffed Museum Room of the Bournemouth Natural Science Society, Panos will take us on a journey through his creative process and share the work of artists that have inspired and influenced him. In a radio-style relay, Panos will be introduced by award winning composer and featuremaker Nina Perry (our last In The Dark speaker), who’ll help field questions and discussion. WHEN: Weds 2nd May, 7pm- 9.30pm.